Ships from and sold by Sab Computer. 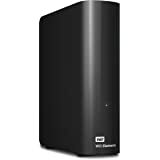 Covers new single-disk external hard drives of any brand when purchased within 30 days (receipt must be retained for purchases not on the same transaction). Sold by UGREEN GROUP LIMITED and ships from Amazon Fulfillment. 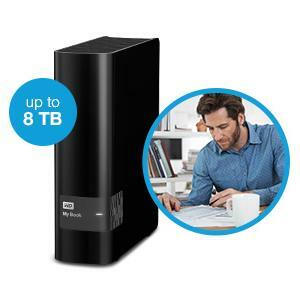 With up to 8 TB of capacity, you'll have all the room to keep your favorite photos, videos, music and important files. *Dropbox account required for cloud back up. Cloud services may be changed, interrupted, or terminated at any time. Policies may vary by country and individual cloud service. Acronis True Image WD Edition backs up your files on a system level, so a copy of your entire operating system, applications, settings and files are always close at hand. By creating a password of your own, you get immediate peace of mind knowing your data is safe from unauthorized access. 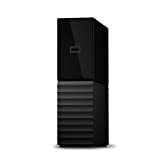 It's equipped with with 256bit AES hardware encryption operates at the speed of the drive—saving you time. 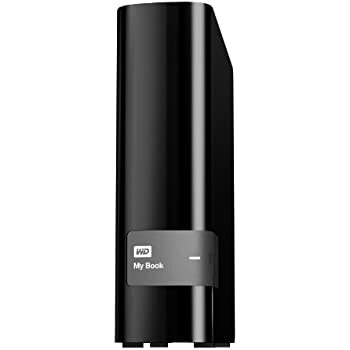 My Book is equipped with USB 3.0 connectivity, providing ultra-fast file transfers and improved power management. 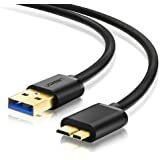 My Book is also backwards compatible with USB 2.0 devices. We understand the importance of your data. 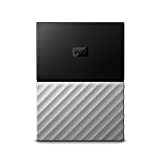 For years, millions of people worldwide have trusted their data to WD hard drives, and our first concern is keeping that data safe. 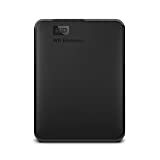 Secure your files on this external hard drive 4TB storage capacity. 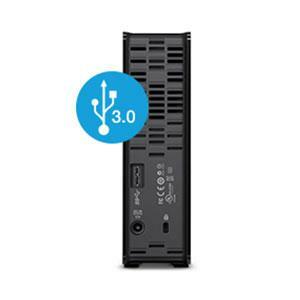 Maximum data transfer rates up to 5Gbps in USB 3.0 mode. 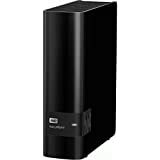 Data transfer rates up to 480Mbps in USB 2.0 mode. Compatible with Windows(R) 8. 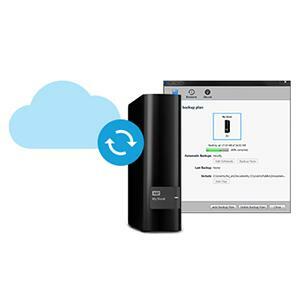 WD SmartWare Pro backup software and Acronis True Image system-level backup software. 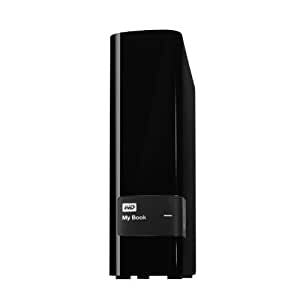 I bought this specifically to use it as an external storage option for my Xbox One, which was down to less than 10% available when they released the update that allowed external storage in early June 2014. 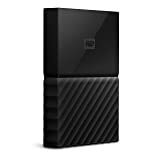 If you are considering this drive as an external drive for your Xbox One system, I can assure you it handles the task quite nicely! 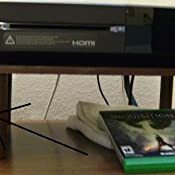 When I plugged the drive into an available USB 3.0 slot on the back of the Xbox One, the Xbox One immediately recognized it as an external storage device, and asked if I would like to format the drive. Formatting was very straight forward and very quick. The Xbox One OS also gives you the opportunity to name the drive, which I kept at the default "External" so you can tell internal storage from external storage. Another nice feature is that the Xbox One gives you the option to always install new content to the external drive until it is full. 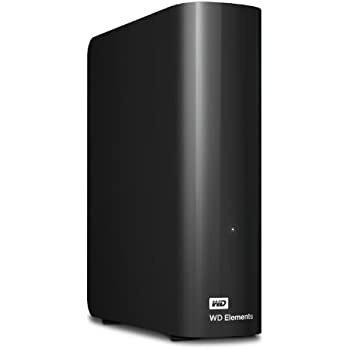 If you select this option, then anything that is installed from this point forward will be installed to the external drive, as long as it is connected. It's a great drive, very quiet, very quick, and I have no issues playing games off of it rather than the internal drive. 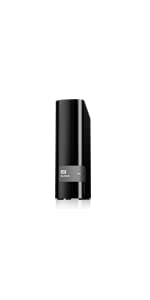 Again, if you are considering this for an external storage option for your Xbox One, do it! 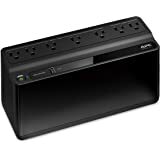 Based on the drive itself and the backup software, I would have given this product 5 stars--it is very quiet in operation, quiet enough to be left running full time on your desk. 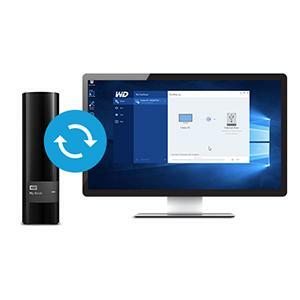 The easy-to-use included backup software can continually backup files each time there is a change or you add a new one (or you can choose to do periodic backups), and even automatically can keep up to 25 earlier versions of files that you've modified (you set the number archived). Why then only 3 stars? Because the drive comes with drive utility software that has a glitch. After installing the drive, before doing anything else, I ran the drive diagnostics; it passed the SMART Status and Quick Drive tests (both very quick to run), but about 30% of the way through failed the Complete Drive Test, which takes hours to run. 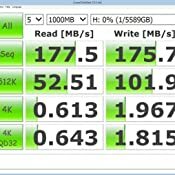 I ran all the tests again, got identical results, then called WD tech support. 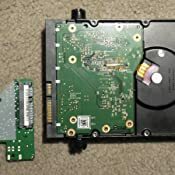 Based on my results, they said the drive was defective, and that I should return it to Amazon, which I did. 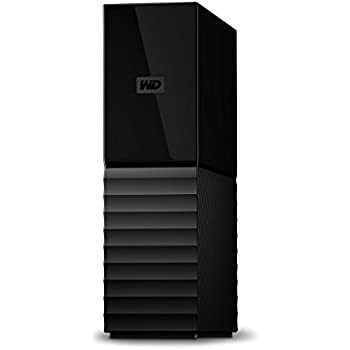 Amazon quickly sent a replacement--which again failed the Complete Drive Test at around 30%. 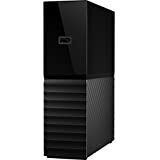 Another call to WD tech support, this time with someone more competent, and I learned that yes, the diagnostic software that is packaged with the drive is defective. He then had me download the utility software they use in-house and use it run a complete test. 16 hours later (I'm using USB 2.0, which probably runs slower than if using 3.0) the drive passed, and in actual use since then seems to be working just fine. So because WD is packaging the drive with glitchy utility software I had to spend hours running diagnostics, talking twice with tech support, and returning what was likely a perfectly good drive to Amazon. Ridiculous! 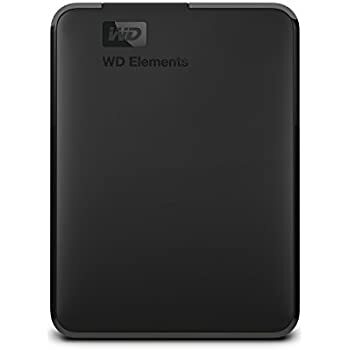 One would think WD would test and de-bug their software before packaging it with a brand new drive. Bottom line: The hardware is good, but don't use the included diagnostic utility, it will give erroneous results (unless they've fixed it--and yes, I did check for updates before running it). Instead, if you want to check the drive integrity, download the Data Lifeguard Diagnostic program from the WD site (I used Windows version, didn't check to see if there is a Mac version) and run that. 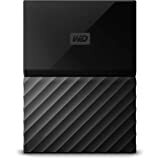 What is the point of buying an external hard drive to back up your files if it breaks after 20 months and now you have to pay a third party to retrieve your data?? Then you write back to the company and they infer that the hard drive is not working properly because "something physical happened". The only physical thing that happened to my hard drive was gravity. It has been sitting on my desktop since September 2015. Same place, no abuse, no quake, no hurricane. Nothing. In April 2017, my iMac stopped recognizing it. 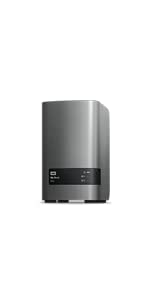 I know the problem was not with my computer or cables because I had another same WD bought exactly at the same time and it was working well. Optimistically speaking, the product is 50% reliable. 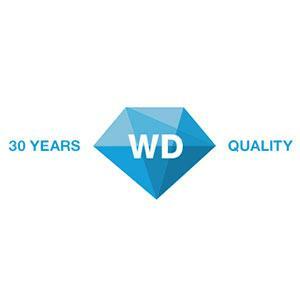 Before I contact WD's team, I visited the discussion groups on their website. It did not seem I was the only one with that type of problem. Unless there is an epidemic of external hard drive abuse, I do not see how this can be the customer's fault. So, in summary, I bought an expensive piece of equipment to protect my data and the equipment goes kaput after less than two years of (very) gentle use. Now I'll have to spend more than the price of the equipment to get my data back. Metaphorically speaking, my data have been kidnapped by WD and I have to pay ransom to a third party to get my files back. What confidence do I have now to buy any of their products again? And the worst part is that these guys are considered the best in the market. Very scary thought. 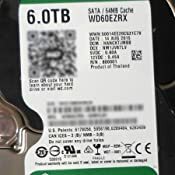 For sure I will pay somebody to retrieve my files but, if I decide to send the hard drive back to WD for replacement, it will be mostly for principle reasons because I do not expect to use it for the safeguard of important information anymore.